Data gathering shifting to a higher gear! 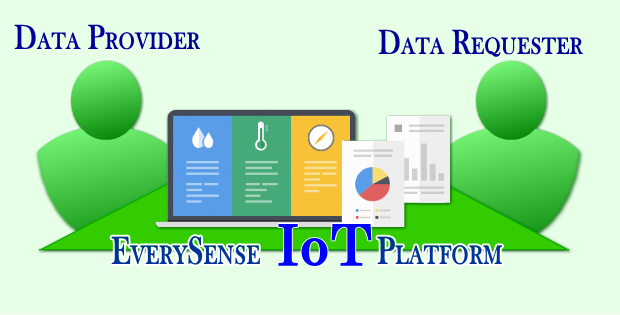 EverySense provides data exchange services mediating between sensor data providers and sensor data requesters.Sensor data providers can set the terms and conditions about who can use the data, how to use the data, and the price of the data. Sensor data will be anonymized, cleared from any personal identifiable information before delivering to the companies who want to use the data for their own purposes. The data you create can be put to use somewhere in the world. Sending data is as easy as turning on your smartphone or our sensory device. EverySense provides a platform to facilitate the transformation of your data into new ideas and breakthroughs as they are plugged into different applications. Your devices can be useful for the rest of the world. Device vendors are manufacturers that produce sensors and/or IoT devices. Product differentiation may provide a competitive advantage in the marketplace, but it can be too costly and time consuming to change an existing design. It is where EverySense comes in. Using our SDK and/or API, your devices can participate in the Everysense ecosystem, thereby adding value to your products. Building on top of IoT, EverySense delivers a win-win data exchange platform and fosters an economy that harnesses the world of opportunities opened by the unfolding data revolution. Data provider can choose if he/she would like to disclose personal data such as address, age, occupation, gender, or keep personal data as anonymity information. Data providers can freely decide where the data are used data use. The prices and values of the data are determined between data providers and receivers. EverySense provides platform service and controls data flow so that we DON’T keep data. EverySense abstracts the offered data and provides it to the data requester. EverySense will not disclose personal data of data providers to data requesters. Everysense provides data exchange platform services, does NOT set up data prices.